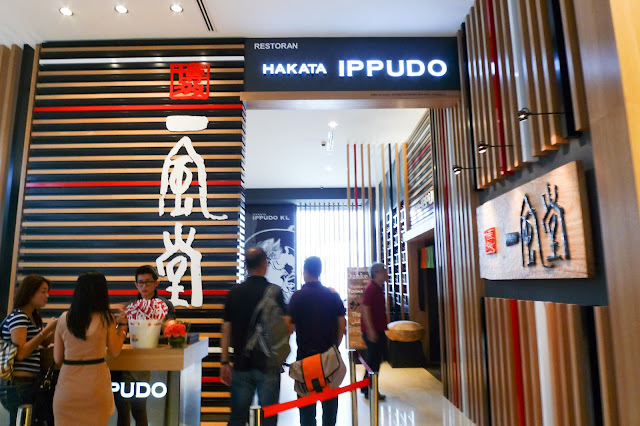 After days and days of seeing Ippudo Ramen pictures on Instagram and raves by local bloggers, MC jiujiu, Wei-nee and I head over to Ippudo Ramen in Pavilion KL to check it out! We reached there around 12pm. There were many Japanese people slurping their ramen in the restaurant. That had to be a good sign, right? The Grand Launch was yesterday so there were lots of flowers outside the restaurant! Wait wasn't too bad at 12pm on Friday. 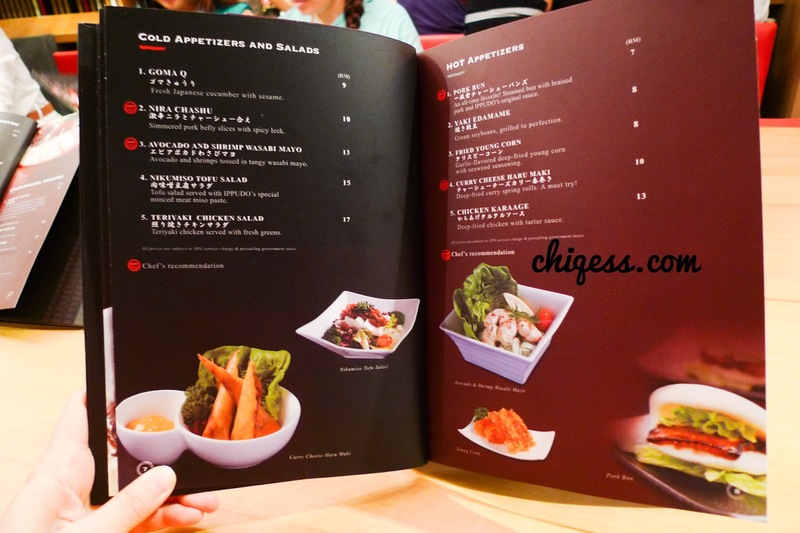 Full menu description can be found only here as well. 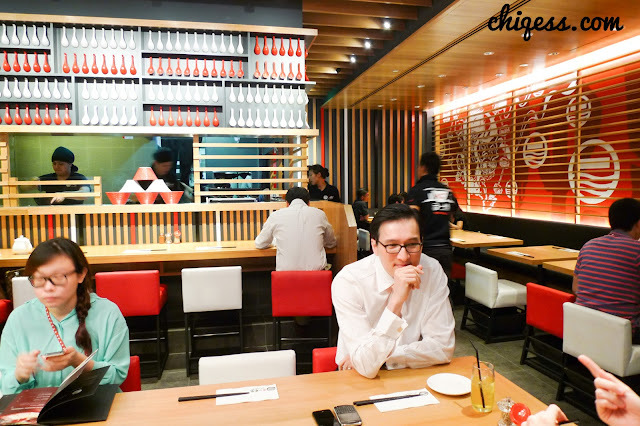 Besides their specialty ramen ( Shiromaru Motoaji, Akamaru Shinaji, Spicy Karaka-Men ), there was also a decent selection of Appetizers, A La Carte dishes and Rice dishes.
" An all-time favorite! 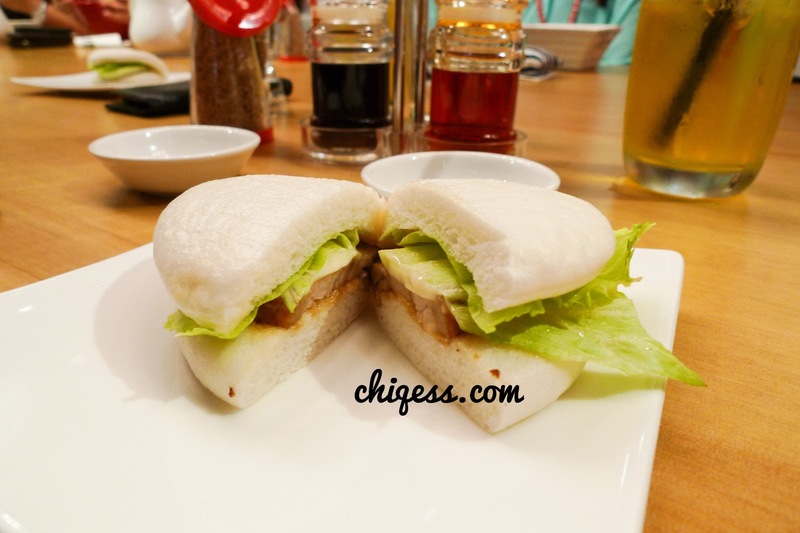 Steamed bun with braised pork and IPPUDO’s original sauce. " When the buns came to the table, we were surprised at how puny the serving was. Nevertheless, it did whet our appetite! There was some mayo dressing over the braised pork, and my uncle believes they added a tinge of wasabi onto it to give it that extra kick. Could easily finish the whole bun in a bite. Lol.
" 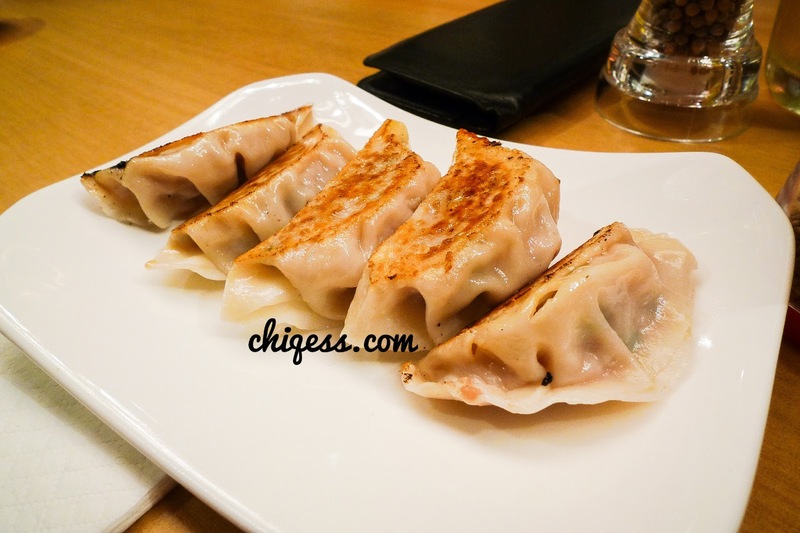 IPPUDO’s original pan-fried Gyoza dumplings. " The gyozas were really juicy. Our starters were both pretty good. Seems quite promising!
" 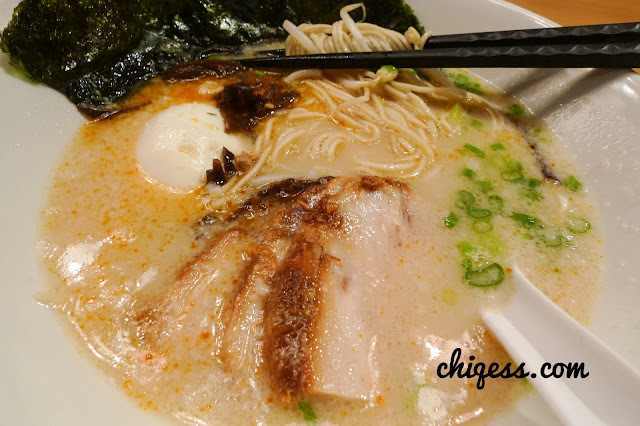 Original recipe Tonkotsu broth served with Hakata-style ultra-thin noodles and topped with belly chashu, bean sprouts, kikurage and spring onions, cooked expertly to produce a smooth yet classic Hakata ramen. " 18-hour simmered pork broth, braised pork, Tamago, Seaweed, Fungus, Beansprouts and ramen noodles. 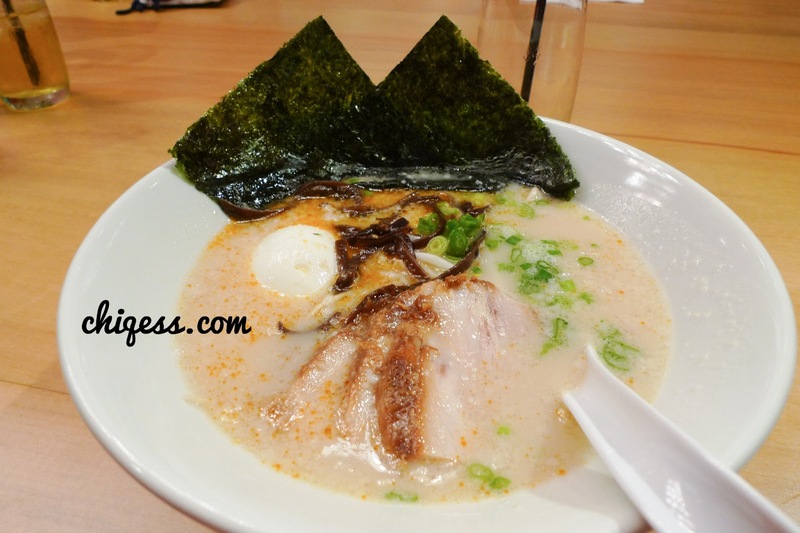 There were three options for the ramen textures: Soft, Medium, Hard or Extra-hard. The waiter recommended "Hard" so we opt for it. 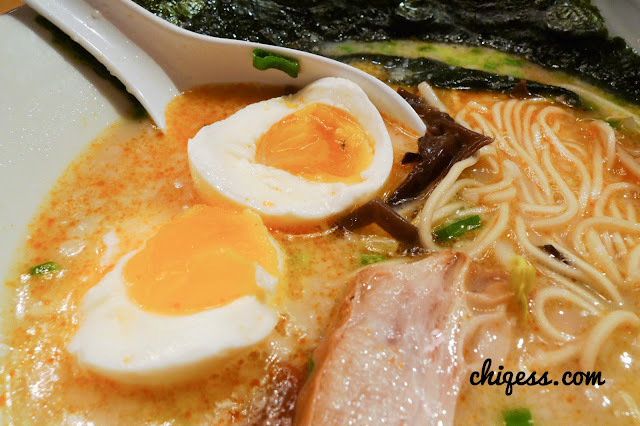 It turned out to be the best, as any softer than that and the ramen would have turned soggy from the piping-hot broth. The soup is amazing. 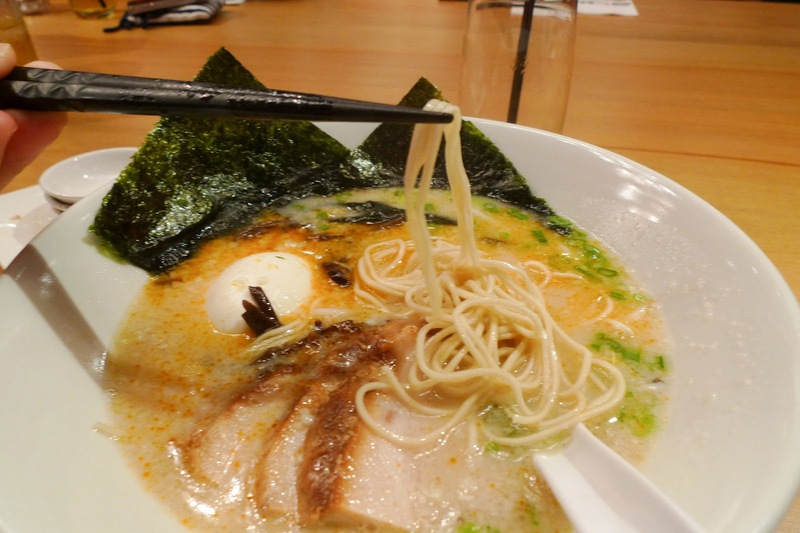 You can really get that subtle porky taste without it being overwhelming (like Menya Musashi's in One Utama). Some people might find it too light, but I like it this way. 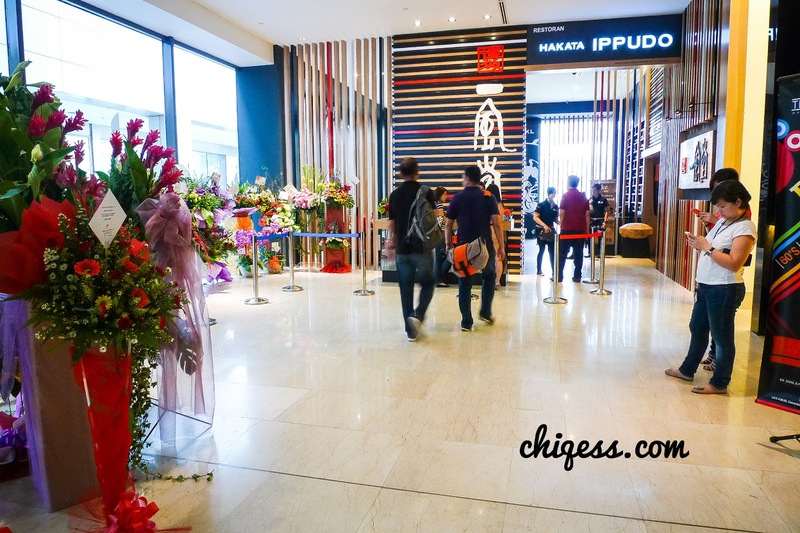 The noodles done "Hard" had a texture which resembled a springy, thick wantan mee. The bowl does not appear to hold much noodles at first glance, but the noodles are pretty dense and makes for a filling meal. The braised pork melted off my chopsticks - LOVE IT. 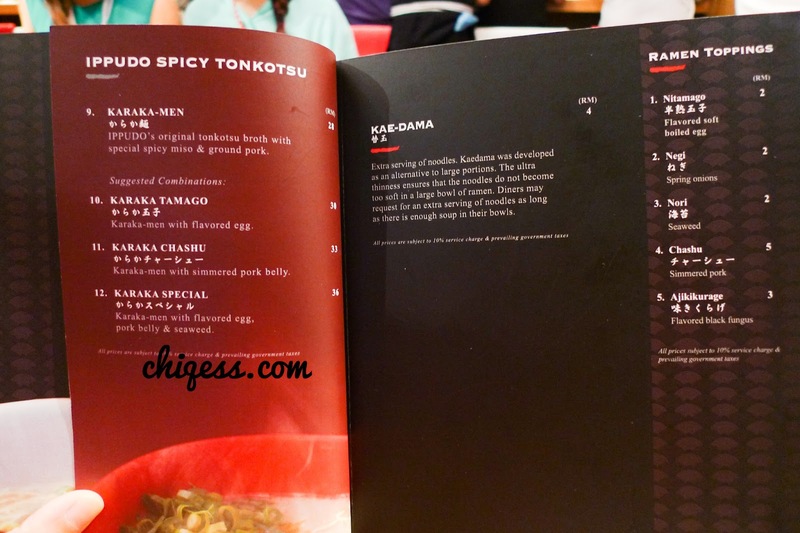 My only complaint was that the egg wasn't really like the usual shoyu tamago. It tasted like a regular egg to me, kinda bland. Just with a slightly oozy centre. Not oozy enough..! 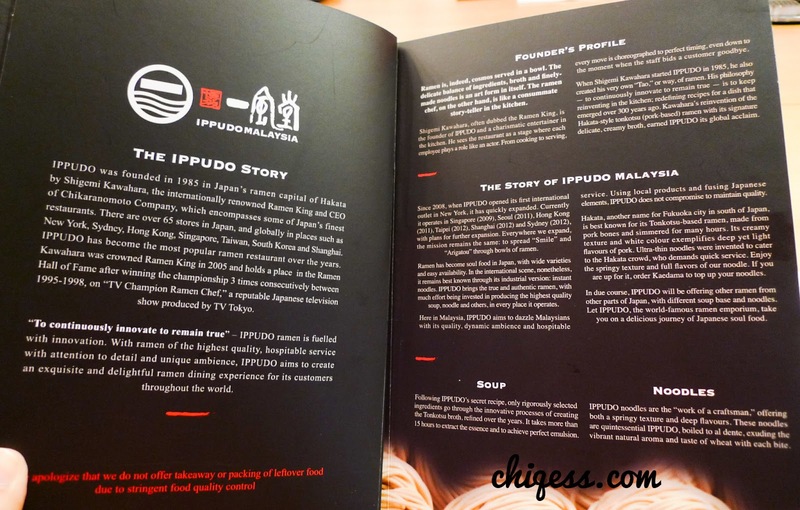 Here are some useful information from Fui from his interview with the Japanese chef. 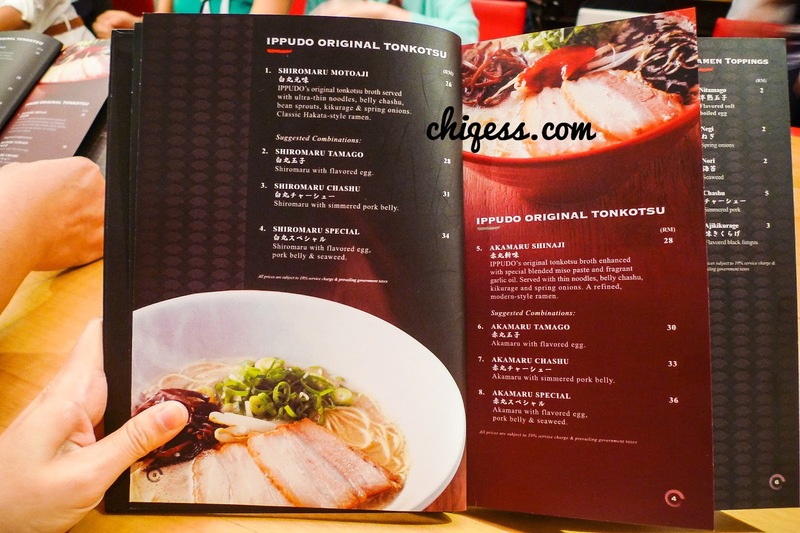 * Ippudo Ramen Malaysia uses local pork bones (include pork head) for their broth. * The flavored egg is Shio-tamago (not the usual nitamago). It is made to suit the broth here. They mentioned that different IPPUDO outlets can have different recipes that are tweaked to suit the local palate. * No timer were used for the cooking of the noodle. A staff responsible for the noodle section ensures the noodle are cooked to the desired texture. The cooking time varies due to the noodle and the water temperature which can be change all the time. Tasting is done before serving. I'm glad my uncle braved the crazy Friday traffic to bring me to KL to try this super-hyped up ramen! Ippudo ramen is one of the priciest ramen in KL now, but I guess it's reputation backs it up. Hehe, most likely I'll return one day to try their other broths. Looks good! Opening times: 11am to 11pm.